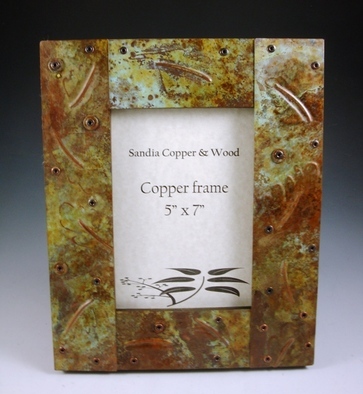 These frames use Kat's favorite medium of patinated copper. These designs allow me to use some of my smaller copper scraps from larger projects ,and to create some spontaneous designs. 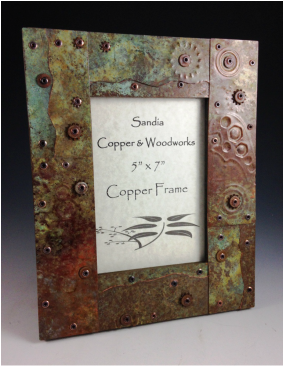 5" x 7" copper & wood frame with copper with a patina finish, some funky hardware, and pressed in relief designs of nature, or wheels & gears, and wrenches. 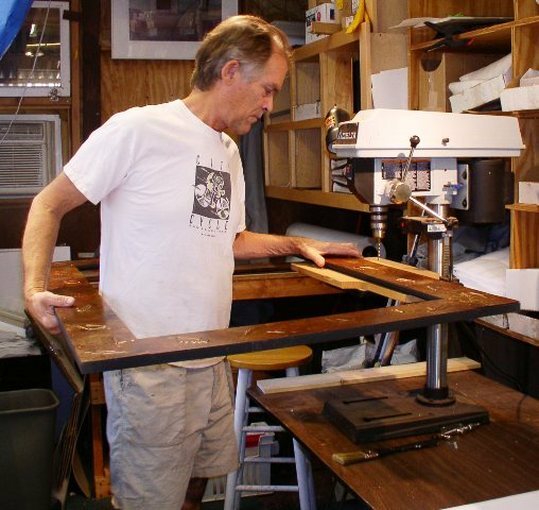 The designs are created so that they may be hung vertically or horizontally, and also include an easel back for table top display. There are pre-drilled holes on the back, and a hanging wire & hangers are included. 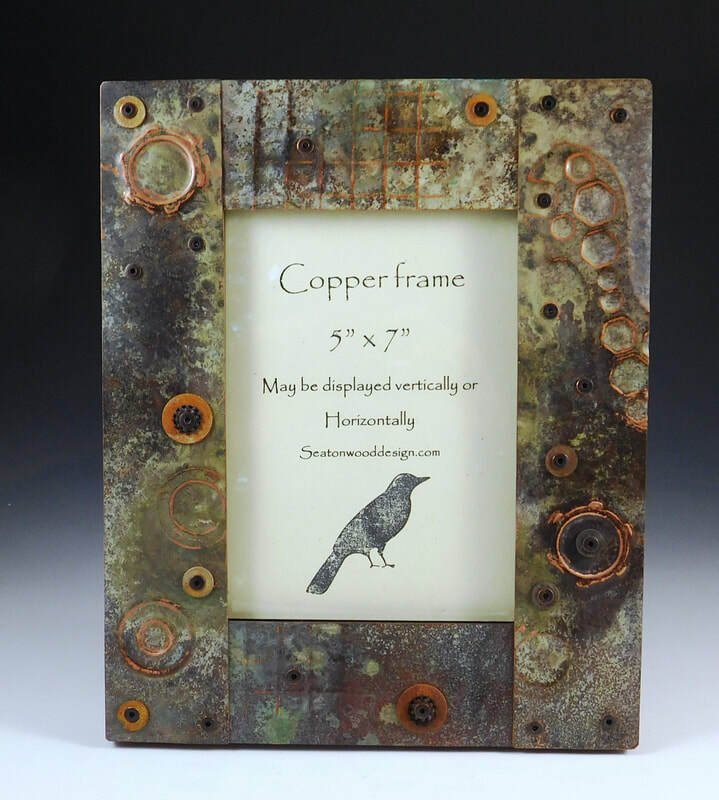 My designs are inspired by nature,and recycled hardware elements. 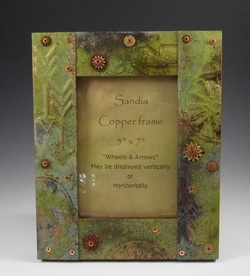 My copper repousse frame series are finished with a patinaed finish, and sealed with carnuba paste wax.